Helen has chosen Travel or Trasnsport. a shame to miss them. Just 4 Men, I purchased this a few years ago on E-Bay. 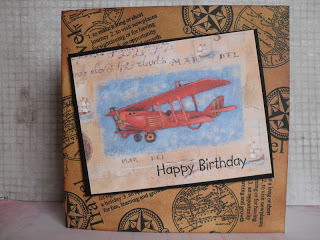 the background using a Debbie Moore set of Travel stamps.